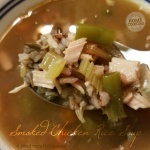 moked Chicken Rice Soup – A slow cooker smoked chicken soup full of yummy vegetables and wild rice. As much as we love our double noodle soup, smoked chicken rice soup is a nice change from the old fashioned and traditional chicken soup. This is the kind of soup I love to prepare when I come across this unusual piece of meat. Prepared With Natural Hardwood Smoked Chicken! Smoked chicken is not something I see everyday looking through the meat case at any of my local supermarkets. You are more like to find smoked pork ribs which are perfection with sauerkraut for a Pennsylvania Dutch style dinner. But chicken? Sure. In fact, none of my neighborhood supermarkets regularly carry packaged smoked chicken. The Pinterest® image below details the process for making the soup base. I must confess that I rarely prepare a crock pot or slow cooker recipe by “dumping” all the ingredients in the pot prior to setting to a LOW or HIGH cook setting. 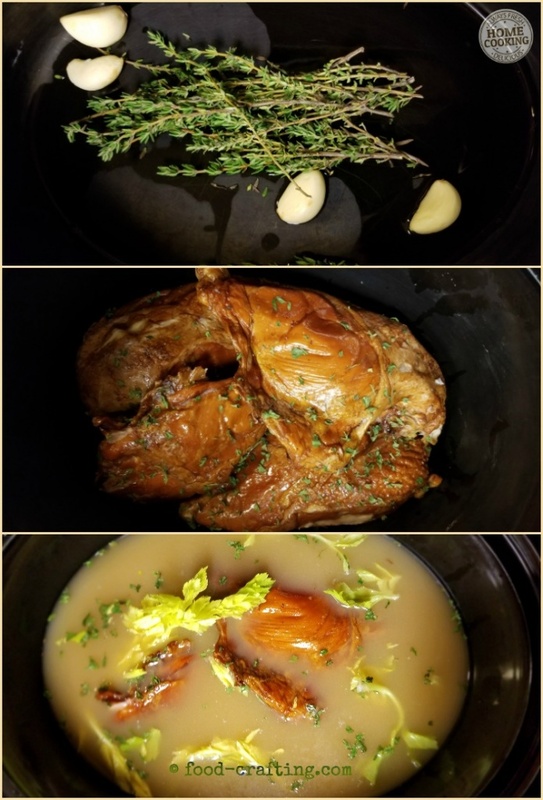 My purpose is to use the controlled temperature as a step in a recipe where the process calls for non-supervised braising or simmering for an extended period of time. 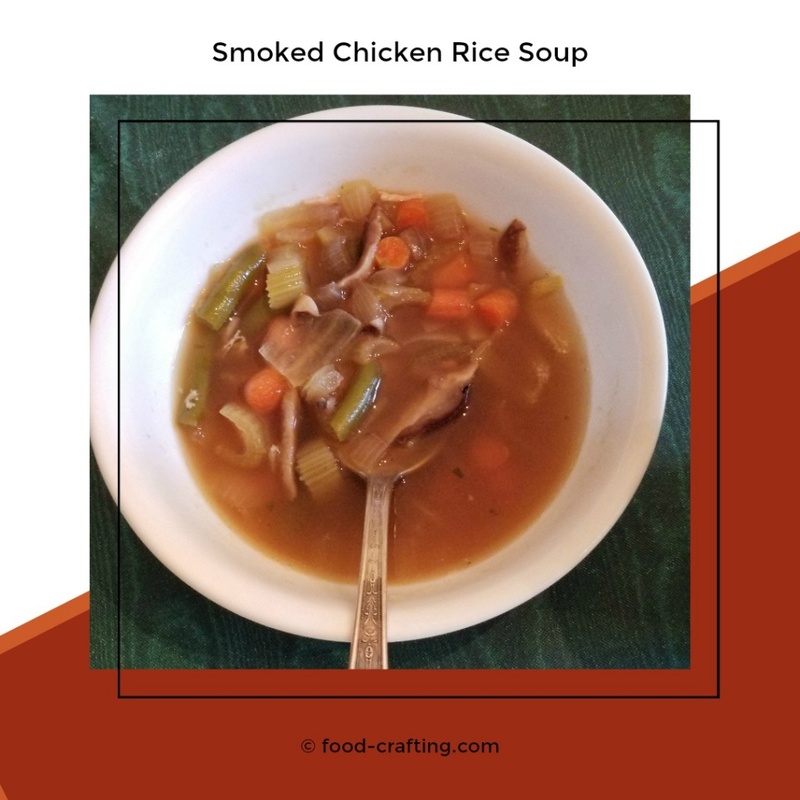 It is ideal for this first step in this slow cooker chicken rice soup recipe – extracting the flavor from the smoked meat. Even if the entire cooking process is in the crock pot, I am likely to brown or sear meats and poultry prior to “slow cooking”. 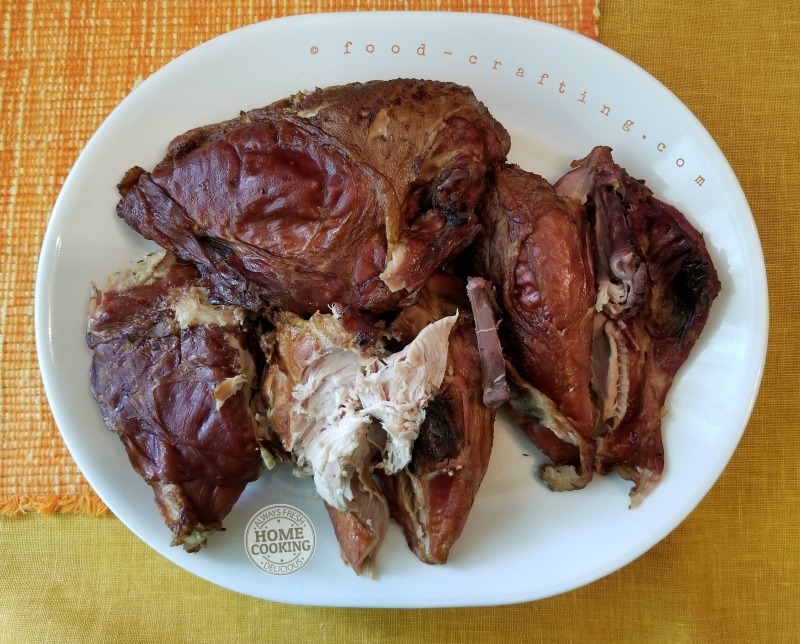 The smoked chicken pieces are fully cooked and ready to eat once re-heated but in preparing the soup, I am more interested in extracting all the flavor from the meat and breaking it down into bits of meat that will easily fit on a soup spoon. 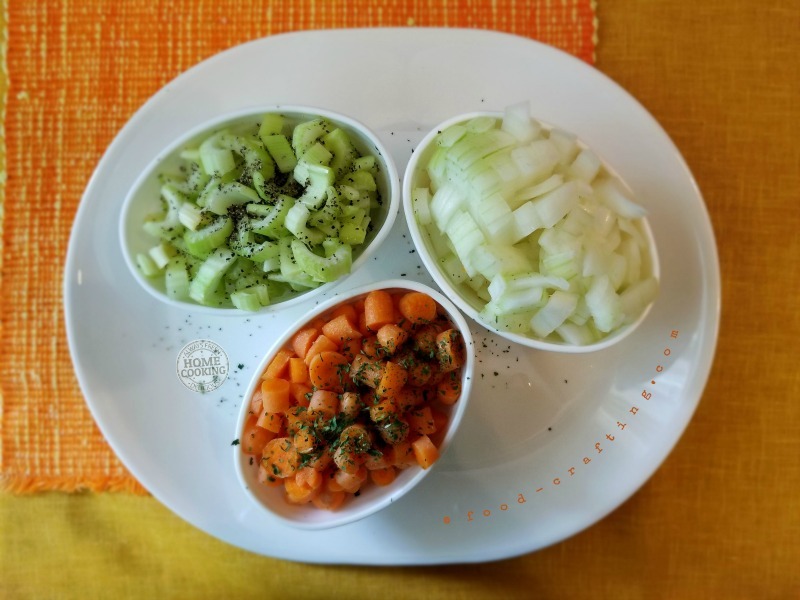 Because the smoked meat is already salty, I do not add any seasonings to the first step in the soup recipe – creating the fork tender, “pulled chicken” meat pieces for the soup. And why not? Adding the rice was a special request from the DH. He ate two huge bowls of soup for dinner. But… I am positive this soup would be equally tasty with pasta instead of rice. My favorite soup pasta include Fideo, Ditalini, Pastina and of course orzo! Love smoky flavor in soups? Here is another yummy soup that works well with smoked meat – smoked sausage. Consider preparing a variation using smoked chicken sausage! 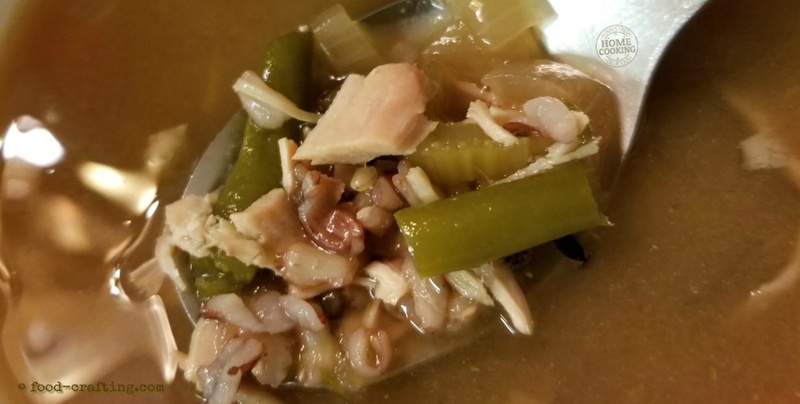 My Smoked Chicken Rice Soup is a slow cooker smoked chicken soup full of traditional soup vegetables with shiitake mushrooms, green beans and wild rice. Makes a very filling soup. All you need is a sandwich to make a complete meal. Rice: Follow package instructions to cook one cup of rice. I add a chicken bouillon cube to the water in which the rice is cooked. Just another layer of flavor. Place several large sprigs of fresh thyme in the bottom of a large capacity crock pot. Add 4 or more large cloves of fresh garlic. Top with smoked chicken pieces and arrange them so they form as even a layer as possible. Pour 2 whole containers of organic chicken broth in a sauce pan and heat to a near simmer. Pour over the chicken and add a few sprigs of celery leaves. Set to HIGH for 2 hours. Cook until chicken is fork tender. Meanwhile cut the veggies and set aside. 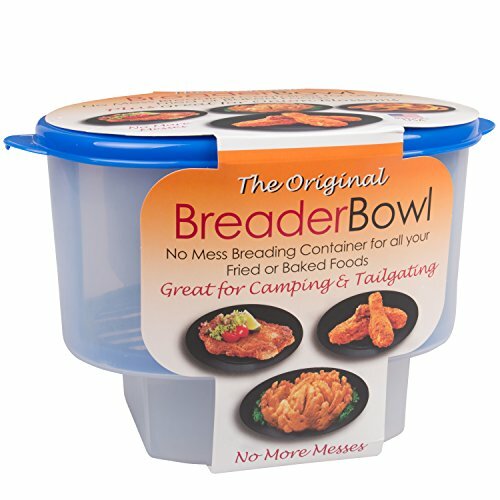 I used these small oval containers as measuring cups – they contain a little more than a cup. To tell the truth, I made a fridge raid and used up all the carrots and celery I had. One large onion more than filled the little white tub. The green beans amounted to the remaining half a large bag of cleaned and trimmed green beans used for a baby potato, green bean and cherry tomato salad we had the previous day with a grilled steak. After the chicken has cooked for two hours, remove from the broth and set aside on a large platter. Allow to cool off then remove the tough skin. Remove the meat form the bones and cut into small pieces. Set aside. Add heated broth to the slow cooker to make the desired amount of soup. Add the onions, celery, carrots, and green beans to the broth. Cook on LOW for about 2 hours adding the chicken bits about 15 minutes before you are ready to serve. All you want to do is reheat them. At this point, you can add the desired amount of pre-cooked rice to the soup or proceed as I do. I assemble this soup as I do a Ramen soup. I place a serving of rice and chicken bits in the bottom of a large soup bowl then ladle the broth and veggies over the rice. Cooking the rice separately is also easier. There would not be any broth left in the soup if you cooked the soup during the last 45 minutes or so. Serving Size? Depends entirely on the person eating the soup in this house! A large soup bowl or two. Or in my case, a smaller soup bowl. I tend to prepare soup in the quantities I know will be eaten not so much in “serving” sizes. Especially when soup is the main part of the meal. Why Not Smoke A Duck Or Whole Chicken For Dinner? For soup or sandwiches, smoked meat makes a delicious soup ingredient or sandwich filling. 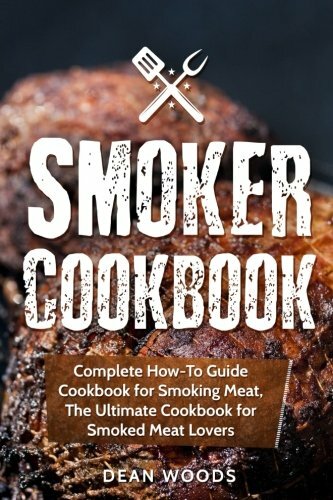 Smoking a chicken or even a beef brisket is easy in a smoker or regular grill set on a very low temperature. Food grade butcher paper is ideal for this purpose. 1 Prepared With Natural Hardwood Smoked Chicken! 2.2 Smoked Chicken Noodle Soup? 4 Why Not Smoke A Duck Or Whole Chicken For Dinner?